Our team of professionals provides the following services to nurture the learning and growth of each child. These related services, and the specially designed instruction that is recommended, are critical to our students’ success. Support services may be integrated in the classroom and/or provided as pullout, as indicated for individual students. Planning and consultation in a multidisciplinary team approach assures maximum benefit from the services provided. ASL specialists provide ASL support to Deaf students between the ages of 3 to 21. Deaf students meet individual developmental language milestones through consultation, integrated services and classroom instruction. Deaf Studies and ASL as a foreign language is taught in High School. Early childhood art is all about exploration and learning through experience. Children have lots of fun as we build, paint, sculpt and create with a large variety of materials. Elementary and middle school students learn to develop their skills with a wide range of media, while studying both modern and historical artists. Our students create original work that reflect what they have learned from art masters like Picasso, Dali, Pollock and others. During high school, young artists have the opportunity to branch out and pursue their own interests in areas of their choice, such as pottery, sculpture, graphic design, and painting. Freshmen ceramics classes have focused specifically on pottery developed in ancient cultures. Learning about Deaf art and artists is an integral part of our arts program. In addition, PSD hosts a Art/Fashion Show Exhibit where students get the opportunity to showcase their individuality and creativity. Audiologists perform annual hearing evaluations, dispense and maintain hearing aids and personal FM systems, and troubleshoot cochlear implant equipment. They monitor classroom acoustics to support PSD’s listening environment and maximize students’ auditory potential. A Cochlear Implant Educational Consultant works with families and area hospitals to share information during hospital visits, before and after surgery. Providing support for families and staff in post implant protocols has proven essential to the success of the device. Classroom staff are offered training in the use of listening and spoken language strategies. Speech Language Pathologists evaluate students’ expressive and receptive language skills, listening and spoken language development, speech-reading and English grammar. Therapy focuses on enhancing communication skills, pragmatics and the development of linguistic concepts in both English and ASL. Augmentative communication devices may be a part of the student’s communication needs and are supported by our staff as well. The safety and security of our students is a priority at PSD and taken very seriously. 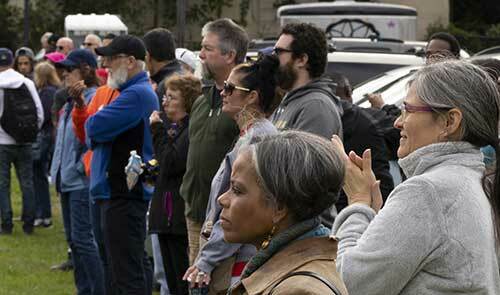 We have several fire drills per academic year along with lock-down and shelter-in-place drills. PSD has formed a relationship with nearby Germantown Life Enrichment Center as our mass evacuation site if ever needed. We also have ties with our local police districts and fire houses. PSD has three security guards who patrol our campus regularly, when school is in session. For students that have mobility issues, PSD staff are specifically trained on procedures to evacuate for all drills and emergency situations. These procedures are practiced at each school drill. All of PSD’s buildings are equipped with both auditory and visual alarm systems. All visitors to our campus that have an appointment, are expected to sign-in at the Administration Building front desk and present photo identification. Only then will they receive a temporary school-issued ID to enter the main campus. Visitors to our Early Childhood building may enter at that entrance on Coulter Street to sign-in and receive their temporary ID. All visitors are escorted at all times by a PSD staff member and are escorted back to their original sign-in location once their visit has concluded. Occupational Therapists (OTs) are professionals who work with children who have developmental delays in the areas of sensory processing and/ or motor skills. The OT works with the educational team to support students’ progress on individualized educational goals, so that they may better access the curriculum. Educationally based physical therapy offers support to students with disabilities to increase their independence, success, and safety within the school setting. This is a related service and is provided to students by a licensed physical therapist when additional support and interventions are needed. These services assist the student to function successfully in the educational environment. The After School Program (ASP) at PSD strives to provide safe and structured activities for students during after-school hours. Activities will vary cycle to cycle depending on student interest, motivation and as needed. Cycles typically include several types of activities, varying between physical, educational, social and individual pursuits. 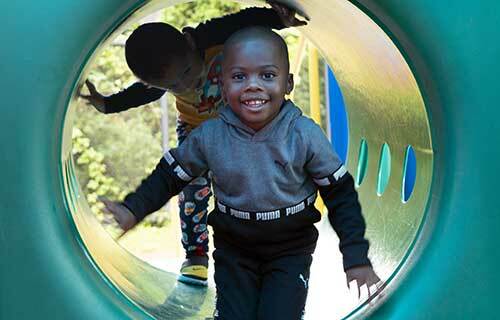 The goal is for students develop social skills in a fun, recreational environment outside of school. PSD provides snacks and transportation for all students involved. 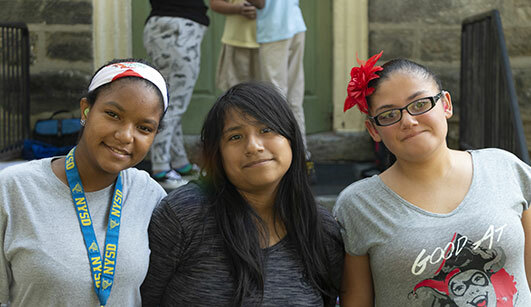 The program is provided in 3 cycles throughout the school year and is offered on Tuesdays and Thursdays from 3:00 – 4:45 p.m.
PSD provides an Extended School Year (ESY) program (20 days) in July and August for deaf and hard of hearing students up to age 21 who reside in Philadelphia and the surrounding counties. 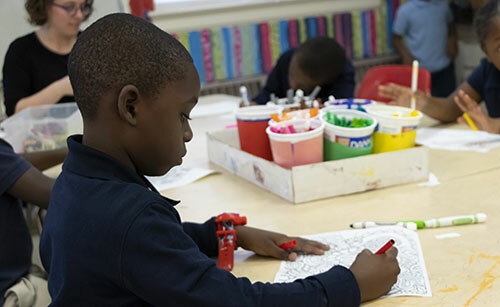 Our ESY program offers a range of programs that act as an extension to the traditional 180-day school year. ESY is a way to maintain progress when issues of regression and recoupment are considerable over school breaks. ESY services are determined by the student’s Individual Education Plan (IEP). With more than 24,000 items in our growing student collection, our library is an integral part of information, literacy, reading and student achievement. Students and staff can access a wide variety of print and non-print materials to support their individual interests and needs. We connect closely with classroom units to draw inspiration from student passion and curiosity, and curate resources that will both inspire and teach. PSD hosts two book fairs per academic year through our partnerships with Scholastic, Inc., and Reading is Fundamental (RIF). Both campus and online campaigns yield free reading materials for our students. Our state of the art computer work stations provide a comfortable environment for working and pursuing research. Access to Pennsylvania’s Power Library resources is available. Our technology supports and enhances exciting educational experiences and is an avenue for instructional innovation. Students cultivate 21st century skills through technology integration and global learning. Classrooms have interactive whiteboards and document cameras. Staff and students use digital video cameras to investigate and document content area topics, while laptop mobile labs and iPads are used to explore the world of ideas beyond school walls. Older students have individual email privileges. Regular workshops and training sessions on use and applications are scheduled throughout the school year. PSD’s acceptable use policy includes the use of our PSD network, email system and internet. All teachers are provided PSD laptops for use at school and home. 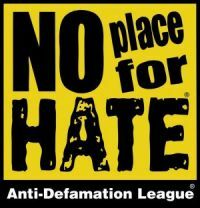 PSD is proud to be among the many schools affiliated with the Anti-Defamation League No Place for Hate® campaign. This program enables schools and organizations to challenge anti-Semitism, racism and bigotry in all forms. By providing an innovative and powerful model for creating more inclusive environments, No Place for Hate aims to reduce bias and bullying, increase appreciation for diversity and build communities of respect. OUR SCHOOL CAMPUS IS A NO PLACE FOR HATE CAMPUS! Our students and our staff have taken the pledge to help make our school campus one of mutual respect and fairness. I promise to do my best to treat everyone fairly. I promise to do my best to be kind to everyone – even if they are not like me. If I see someone being hurt or bullied, I will tell a teacher. Everyone should be able to feel safe and happy at school. We pledge from this day forward, to do our best to combat prejudice & to stop those who violate the civil rights of others. We will seek to understand those who are different. We believe that one person can make a difference & that no person should stand by when it comes to opposing hate. We will speak out against prejudice & discrimination. We will reach out to those who are victims of hate. We know that we must all promote harmony, equality and respect. The Junior NAD Chapter at the Pennsylvania School for the Deaf is an affiliation of the National Association of the Deaf (NAD) and its Youth Program. Jr. NAD chapters focus on principles of advocacy, fellowship, leadership, and scholarship. Students meet monthly to develop leadership skills, plan community service events and organize fundraisers. Students attend trips to other schools with chapters of the Jr. NAD to collaborate on philanthropical projects. Students have the opportunity to acquire a variety of skills and values that are not taught in the classroom. The mission of the Student Council is to provide support for the needs of the student body, and to address student concerns about school programs and services. Students elect a President, Vice President, Treasurer, and Secretary every year and follow Parliamentary Procedures. Students work with various aspects of dramatic presentation, including staging, characterization, plot and scripting, and improvisation. They will also work and analyze film as a dramatic medium. Students will give a live performance. Students are responsible for creating the PSD yearbook. Members will work together in all aspects of development, such as task planning, layout design and financial management. Students will develop skills in photography and graphic design, and will have the chance to work with an independent agency/consultant. Students practice and perform together each year to represent PSD at the Philadelphia Thanksgiving Day Parade! Participation encourages teamwork, creativity, responsibility and goodwill. Our Food Services Coordinator, David Ronnenberg, is Serv-Safe certified and State Certified. He and his staff work hard to make sure our students have nutritious, well balanced meals. 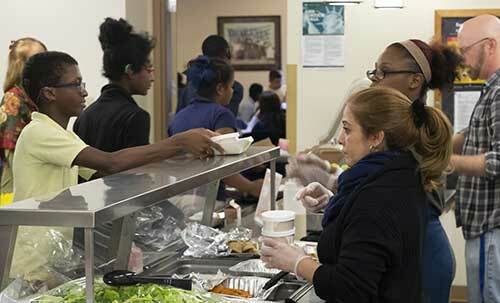 PSD works with Culinart Group to provide breakfast and lunch every school day. PSD promotes fitness, knowledge and skills that lead to a lifelong enjoyment of physical activity and making healthy choices. We do not emphasize competitive team sports but work to help our students develop a positive attitude toward physical activity for life. Our physical education program helps students grow in all factions: cognitively, emotionally, ethically, linguistically, and physically. 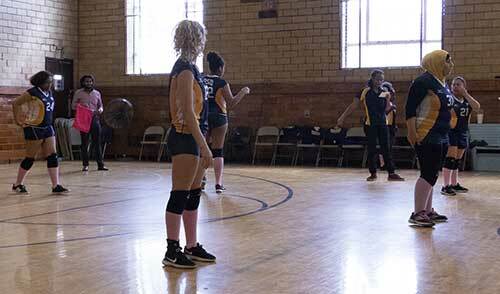 We feature cooperative and competitive team games and actively teach fair play and responsible participation. Students set individual goals alongside team goals and work together toward achievement. At PSD, health education & health awareness go hand-in-hand for learners of all ages. Having healthy choices and learning how to make informed nutrition and fitness decisions are important to reaching and maintaining optimal physical and mental health. Formal health education begins in the elementary grades, with human sexuality education taught by staff who have had special training. Healthy habits begin at home. Parents have the primary responsibility for the health of their children including the establishment of good personal health habits. Parents should see that their children get sufficient rest, attend to personal cleanliness and eat wholesome food to ensure regular attendance at school. Inform your child’s teacher and the school nurse of any health condition that might affect your child’s school work. At this time of year, please be sure to check in with your family physician to get your flu shot! Flu shots can also be obtained from most drug stores. You will need to have an insurance card. The following services are part of the state approved school health program. School Psychologists review data, conduct cognitive, behavioral and academic evaluations, and recommend strategies to support student achievement. Biennial re-evaluation reviews (RRs) are conducted. 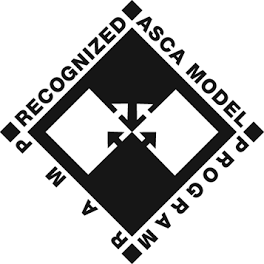 The Pennsylvania School for the Deaf (PSD) is the FIRST recognized ASCA (American School Counselor Association) Model Program (also known as RAMP) school for the deaf in the Nation! PSD is very proud to be among the caliber of schools that have received this recognition. We are equally proud of our Student Development Team for enabling us to achieve this status. It may be helpful to know that of other schools that serve the general population of students that are hearing, less than half of 1% receive RAMP status! PSD received this distinguished recognition at the ASCA National Conference on June 30, 2015. PSD has now become the model school for other institutions serving deaf and hard-of-hearing students, as they begin their own journey to becoming a RAMP designated program. PSD’s credits this to our stellar Student Development Team, who is not only in compliance with national standards set by the ASCA, but are leaders in their field. Recognized ASCA Model Programs are data-driven, results-based, and designed to provide equal access to guidance and counseling for all students. Program goals are based on feedback from parents, students, teachers, and the school community. These goals help the Student Development Team create developmental programming and strategies that provide our students with the tools to succeed in school and the world at large. PSD’s proven counseling approach benefits the not only the individual student but contributes directly to the culture and climate of the school atmosphere. When counseling issues are met with experience, skill and proven methods, a student is free to engage fully in classroom work and projects. PSD’s Student Development Team is engaged, creative and intuitive with the needs of our students. When supplied with forms and paperwork, please complete and return as promptly as possible. If you will have a change in residence, please let the Transportation Department know as soon as possible. All transportation changes in address take 10 days before going into effect. Please make sure an approved adult is home to receive students each day when they are dropped-off from school. If you live outside the Philadelphia County, please contact your local bus company for any changes.